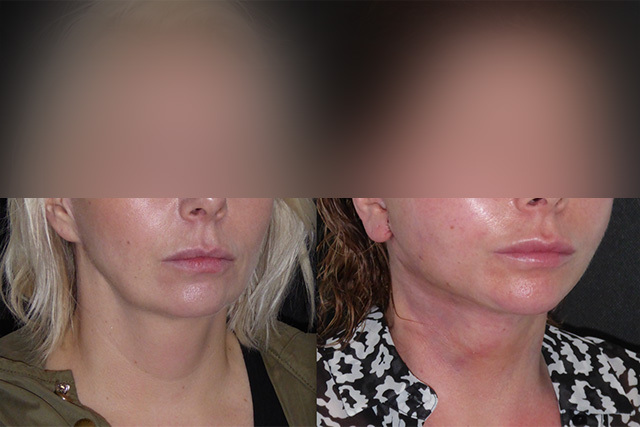 Emma had previously had a facelift which she felt hadn’t made a real difference and sought my advice to repair the resulting scarring and ear deformity as well as facial rejuvenation. 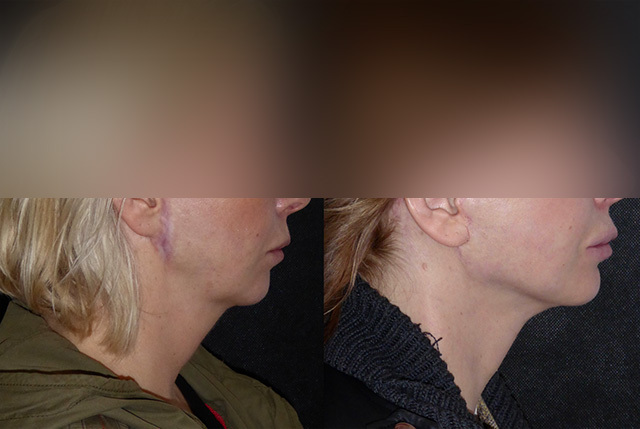 A lateral tension deformity had been created from a face only lift and lateral skin reserve was scarce. 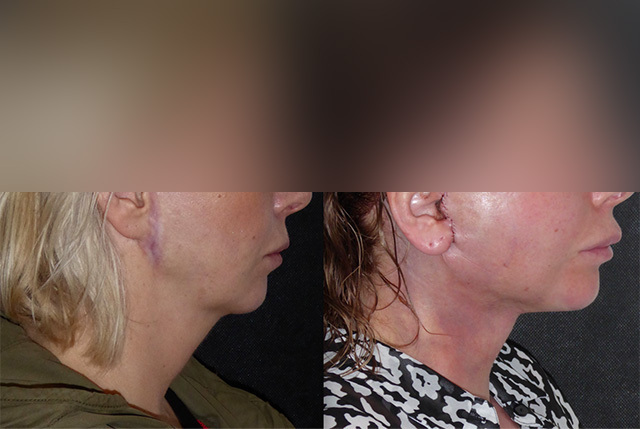 Hypertrophic scarring can occur in all scars, some people are predisposed, but I suspect the extent of Emma’s scarring was in large part due to lateral skin tension. 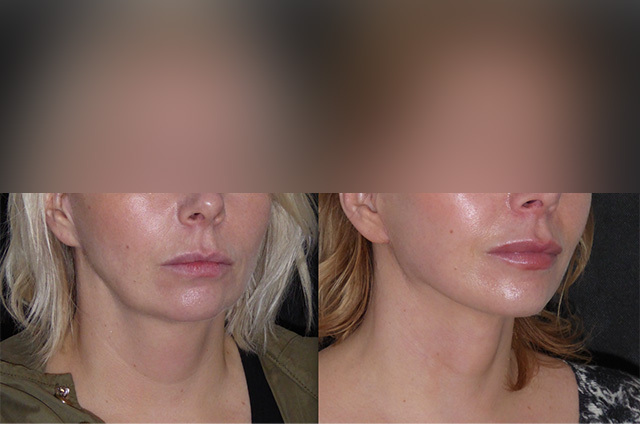 After a further period of waiting for further laxity, I agreed to perform a revision face and neck lift as well as wide liposculpture and muscle tightening of the under chin compartment to create more skin reserve to help with a tension free closure. This is her story. Emma’s revision surgery went really well. 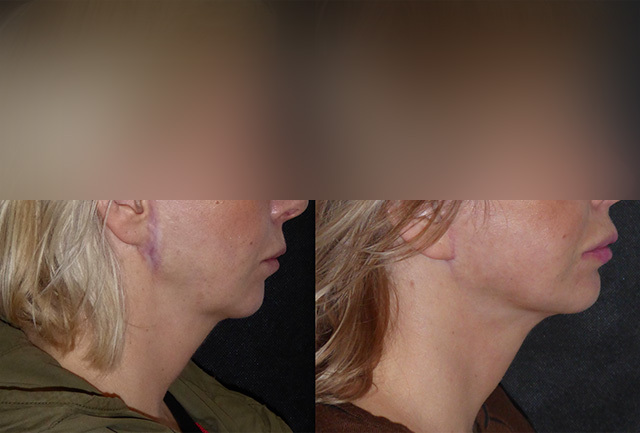 A complex operation that required careful dissection through previous scar tissue, ligamentous release and wide elevation of a skin flap to allow meticulous liposculpture to create enough skin reserve to remove as much of her scarring as possible. 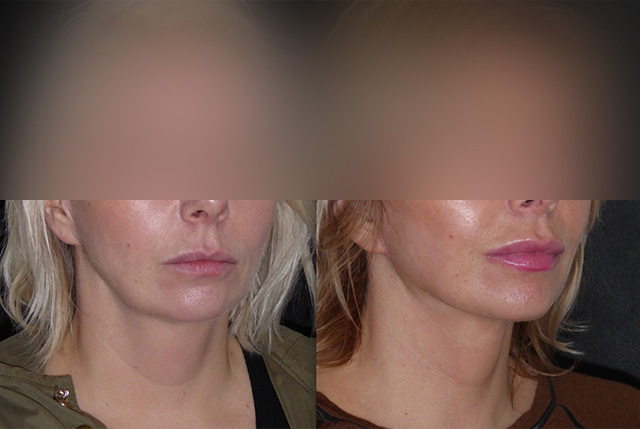 Remarkably unbruised considering and already she has a really attractive facial shape and neck line contour. 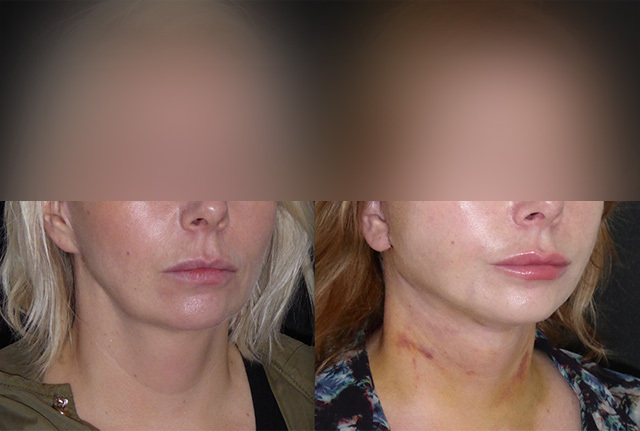 I was really careful to leave no tension of the skin just in case Emma is predisposed to hypertrophic scarring. Emma has done really well this week. 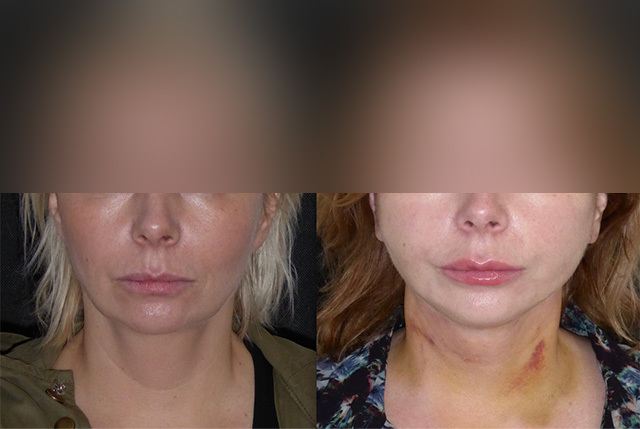 All is healing perfectly and her new face, although swollen, is settling well. 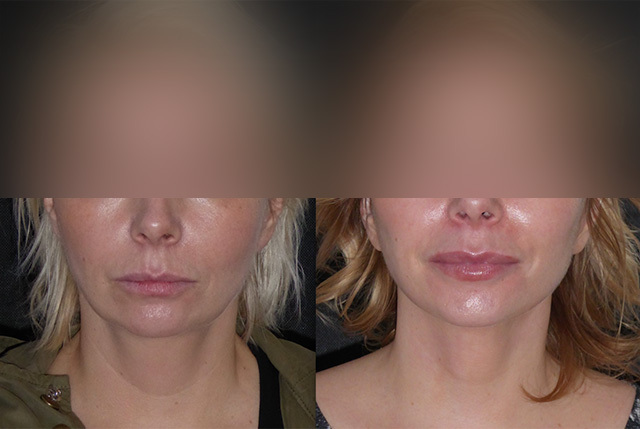 The change in mid facial volume with slimming of the jawline, neck and lower facial third is going to be really attractive. At a month out everything is settling beautifully. 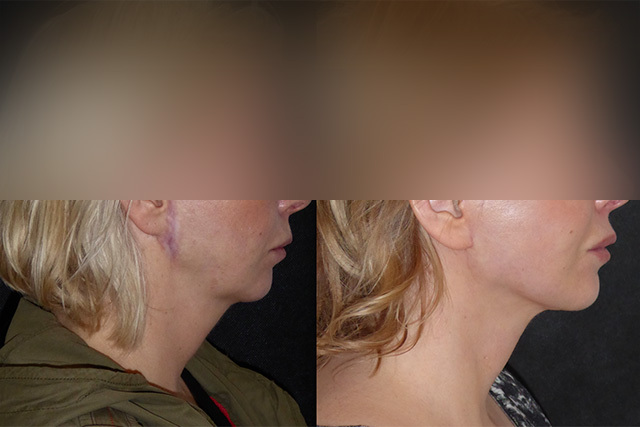 Emma’s earlobes have an attractive shape, the scars are removed and healing beautifully and hr neck and jawlines looks really lovely. Her whole demeanour has changed, she radiates confidence and looks just beautiful. At three months now Emma looks the best I have ever seen her! 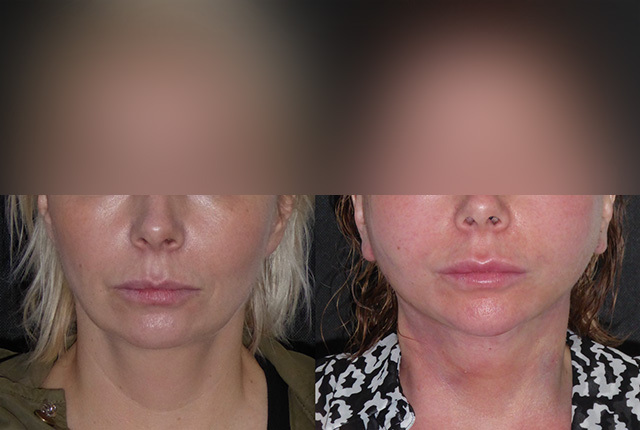 All swelling has now gone and she now has a beautifully defined proportionate face which suits her perfectly. 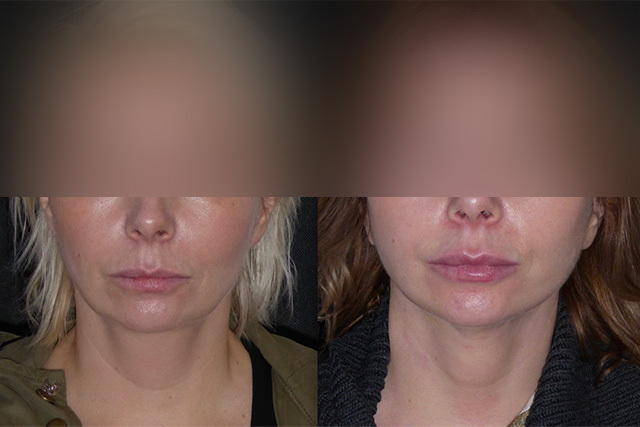 It is very very similar to photos of years ago which she brought to her initial consultation. 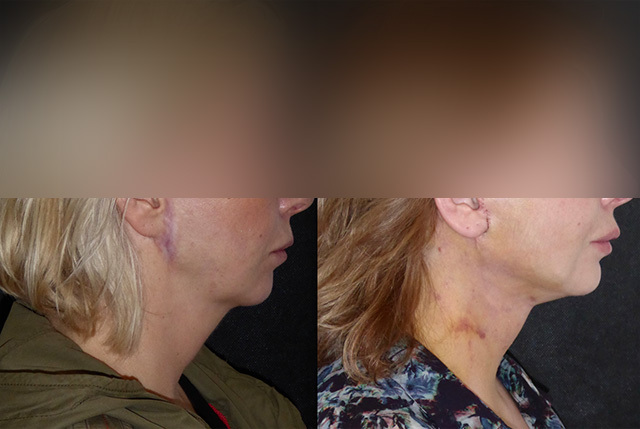 Her scars continue to heal well, I am going to keep an eye on her though as she has previously suffered with hypertrophic scarring although there is no sign that is it reoccurring today. 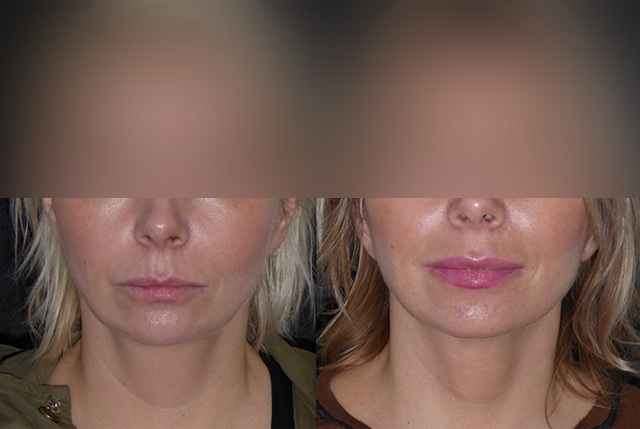 I am delighted for her, she has been a real pleasure to treat and has had a really lovely result. 6 months now since Emma’s revision surgery and she looks better than ever. 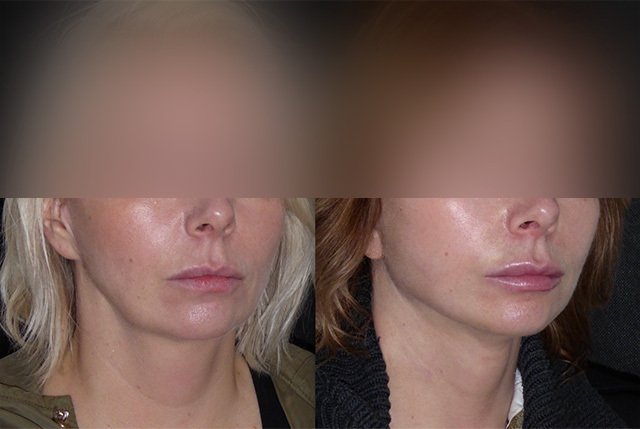 It really is the case that some patient's results improve with time as the face heals. Emma is definitely in that camp. 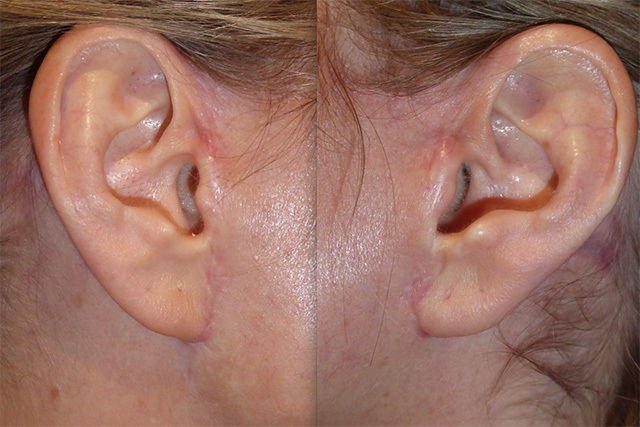 She has a very small area of hypertrophy around the right earlobe and above the right tragus which isa sign of over healing so I have injected a little steroid today which should settle it down nicely. I am really delighted for Emma and her result.